My mother always told me not to put something in writing that I wouldn’t mind someone else picking up and reading. It’s similar to the “front page of the newspaper test” – that is, would I be happy for this communication or advice to be printed on the front page of the paper? It’s served me well and I’ve found it’s a good rule to apply when drafting any sort of communication. It forces me to examine the tone of what I’ve written and ask myself whether it’s accurate and necessary and could possibly be interpreted in another way. It’s a particularly useful rule when providing written feedback to employees. In this article, I explore a recent decision of the Fair Work Commission, which serves to highlight the importance of ensuring all our work communications are respectful in order to avoid potential bullying claims. Ms A was a body corporate manager of a building complex in Queensland and claimed, via a stop bullying application, that she had been bullied by the Chairman of the Body Corporate Committee. Altogether she made 11 allegations of bullying, including that the Chairman had continuously sent her an excessive number of emails. She alleged that Mr C could send up to 7 emails a day querying where she was, what work had been done and also threatening to reduce the manager’s remuneration or terminate her contract. Many of the allegations also related to disputes between the two about the responsibilities of her role under the management agreement. Ms A said that she was so affected by the Chairman’s conduct that she had been forced to move out of the building complex. The Chairman on the other hand, argued, that his concerns about Ms A’s performance were valid (that he was requiring that she comply with the terms of the management agreement), and that his actions amounted to reasonable management action taken in a reasonable way. Use sarcastic and derogatory language, refer to Ms C as a ‘liar’, comment about her credibility, her ability to perform the work under the contract and her command of the English language. Quite a number of the allegations concerned the interpretation of the Management Agreement, specifically what tasks Ms A’s remuneration covered. As was acknowledged by the Commissioner in her decision, these issues were never going to be resolved via an “email war” and required specialist assistance of the Strata management company to independently interpret the terms of the agreement. There is no doubt that email is an efficient way to relay information, organise meetings, give directions and provide advice, often to a number of recipients at the same time. It is an integral part of the modern and flexible workplace – a tool that allows us to deal with issues at our convenience – at 9 pm or 6 a.m. if that suits. The flipside however, is that people are never ‘off the clock’, employees don’t get or take a break and stress and anxiety ensues. Also, as was seen in this case, the persistent nature of the Chairman’s emails to Ms A, contributed to the Commissioner’s finding that she was being bullied. If it’s absolutely necessary to send an email outside work hours, encourage employees to put a message on the bottom acknowledging that they’re sending an email at a time that suits them and encouraging the recipient to do the same. Another downside of email (and social media more generally) however, is that people sometimes have no qualms putting in writing what they might not otherwise say directly to someone’s face (the Chairman’s claims that Ms A was a liar are a prime example). the recipient is invited to meet with the manager to discuss the issues. If this blog has got you thinking on where your workplace culture and communication currently sit on the “sarcasm-o-meter”, do not fear. We offer refresher training for staff on how to have effective and respectful conversations (yes, face-to-face! ), and how to handle conflict with emotional intelligence. For more info, please see our training page. 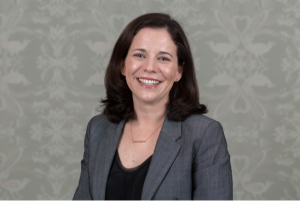 Brooke Hall has significant experience in the workplace relations area, having previously worked as a lawyer for 10 years at the now Fair Work Ombudsman. Brooke brings strong communication, investigative and analytical skills in the area of dispute resolution to Worklogic. Her strong client service focus and pragmatic approach ensures clients receive practical solutions to a range of workplace issues. Worklogic has extensive experience in triaging and resolving workplace complaints. If you would like advice on a workplace complaint, you can contact Brooke for an obligation-free discussion via email or by calling (03) 9981 6500. Subscribe to the Worklogic blog to receive expert advice on resolving workplace complaints and building a positive culture at work direct to your inbox each week.